The best camera is the always the one you have with you, always! It won’t take more than a second to realize what it is – it is your iPhone! There are some add-on lenses which will up your mobile photo game. iPhones are now able to rival many point-and-shoot cameras. iPhones carry digital zoom and not optical zoom, which would require a telescoping lens. Digital zooms crop the middle section of what the sensor sees and then enlarge it to fill the frame; image quality degrades noticeably. Optical zooms use telescopic elements to magnify the image before it reaches the sensor. Results depend on the quality of the glass, but optical will always trump the digital zoom. iPro Lens System by Schneider Optics is one such highly rated lens for iPhone4/4S. 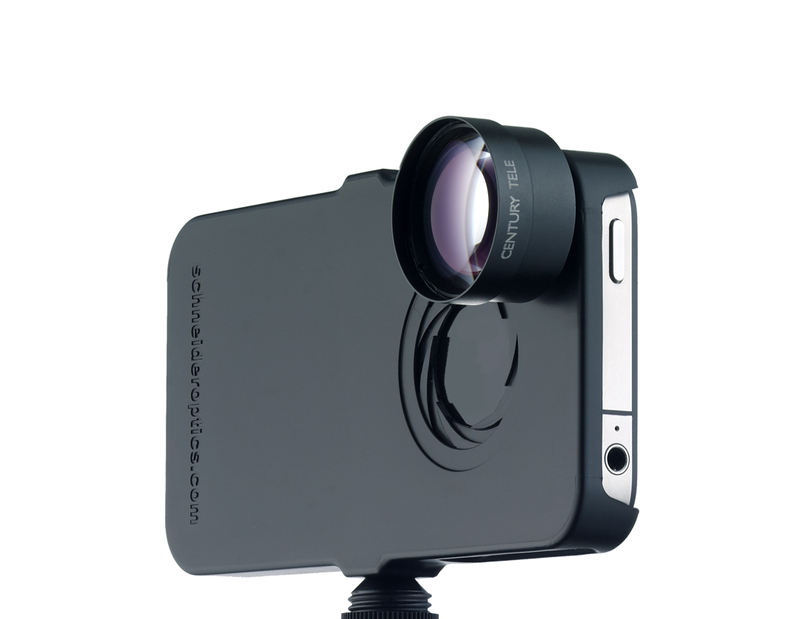 The iPro Lens System is specifically designed for the iPhone 4 and 4S. Both the Wide Angle and the Fisheye Lenses use a bayonet mount to securely fasten onto the iPhone case. The iPhone case gives you the two options of attaching the handle on the left or right side of the iPhone. The handle itself safely stores your lenses and enables you to attach your iPhone to any tripod. iPro lens are truly high end lenses. Like Olloclip, the iPro also features a fish-eye and a wide-angle. Lens case doubles as a tripod mount.